Details: The projec is coming up at Bicholi Mardana in Indore. 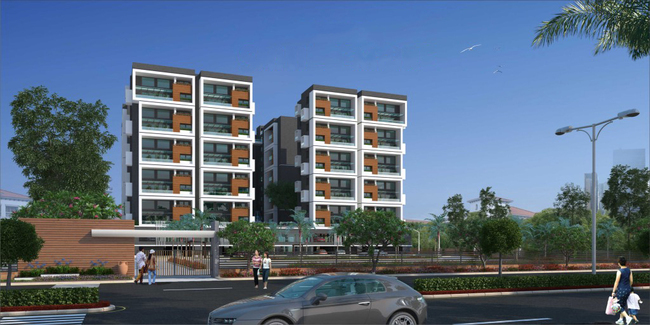 The project offers 3 towers with G+5 floors, having 100 units of 3 BHK apartments. Apart from the basic amenities, the project offers Toddler Pool, Jacuzzi, Rain Water Harvesting, Wi-Fi Connectivity, Children's Play Area, Fire Fighting Systems, Gymnasium, Club House, etc. Old Palasia, Indore-452001, Madhya Pradesh.